The Governing Board of the Partnership for Assessment of Readiness for College and Careers (PARCC), one of two consortia developing assessments based on the Common Core State Standards, has given final approval to the first edition of its accessibility and accommodations manual. LDA provided comments on earlier drafts, and some favorable changes have been made. However, LDA and other disability organizations remain concerned about specific accommodations, including read-aloud features. 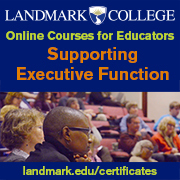 The manual indicates the read-aloud accommodation is “intended for a very small number of students and will result in a valid score only for those students for whom reading comprehension and listening comprehension are integrated and inseparable constructs with respect to college- and career-readiness….” For students characterized as “not severely limited or prevented from decoding who read somewhat below grade level,” the manual states the text-to-speech accommodation may result in an invalid score on the assessment. IEPs teams are instructed to consider whether the student is limited or unable to access print material even after “varied and repeated attempts to teach the student to do so.” In addition, the IEP team is instructed to consider whether the student should “receive ongoing, intensive instruction and/or interventions to learn to read (decode) printed text…in order to ensure that the student continues to address the ‘Foundations of Reading’ standards” in the English/language arts Common Core State Standards. 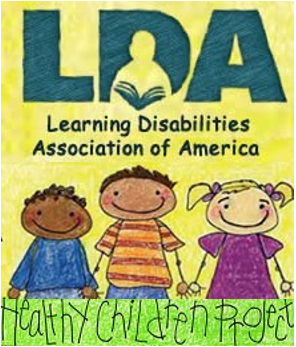 LDA remains concerned that the manual as currently written is too restrictive and will prevent certain students with specific learning disabilities from receiving appropriate accommodations, including accommodations they may already be receiving in the classroom. There is also the possibility that scores of students who receive the accommodation will be invalidated. It is expected that the PARCC accommodations manual will be adjusted after field testing of the assessments. LDA and its partner organizations are continuing discussions with both PARRC and the Smarter Balanced Assessment Consortium to try to ensure appropriate accommodations are available to all students who need them. The appropriations process is underway for Fiscal Year 2014 (FY 2014), which begins on October 1, 2013. The Senate Appropriations Committee has passed the Labor-Health and Human Services-Education appropriations bill, but whether the bill actually comes to the Senate floor is still up in the air. Regardless of next steps, the Senate bill represents a strong statement of support for education and human services funding. The Labor-HHS-Education bill (S.1284), which passed the Senate Appropriations Committee on a party-line vote of 16-14, provides a solid investment in education, health, and human services. The bill includes an increase of $125 million for IDEA State Grants (Part B), an additional $20 million for IDEA-Part C (Infants and Toddlers), and increases for the National Activities under IDEA Part D. In addition, an amendment (Sponsor, Senator Kirk (R-IL) passed on a bipartisan vote in the Committee that transferred a proposed increase for the Promise Neighborhoods program to IDEA. Title I of the Elementary and Secondary Education Act (ESEA) would receive a $125 million increase. Funds are also focused on improving high schools and STEM innovation, as well as a sizeable investment in literacy, which is an LDA priority. One of the biggest winners is early childhood education. The Committee included full funding for the President’s proposed Preschool for All initiative, as well as increases for Head Start and the Child Care Development Block Grant. Members of the Committee cited the strong research supporting investments in early childhood that lead to much stronger outcomes later in life. The FY 2014 bill also increases funding for medical research under the National Institutes of Health, including prevention efforts and more access for the public to NIH research. Another positive element of the bill is a substantial investment for mental health services and school safety, with a total of $119 million in new funding to increase access to mental health services. These funds would go toward teaching individuals to identify early signs of mental illness, connecting young people with appropriate services, and addressing shortages among behavioral health service providers. Money is also set aside for grants to schools to improve school climate and learning conditions and to help schools in troubled communities break the cycle of violence. The House of Representatives must now produce a Labor-HHS-Education bill. Currently no action is scheduled. Once the House is ready to act, its bill will be substantially different from the Senate version, given the much lower amount allocated to the House Labor-HHS-Education Subcommittee to fund its programs. With such a great difference in the bottom line, reconciling House and Senate bills could be very difficult. Michael Yudin, currently serving as Acting Assistant Secretary for the Office of Special Education and Rehabilitative Services (OSERS) at the U.S. Department of Education, has been nominated by President Obama to serve in that official capacity. Yudin has been the acting assistant secretary since August 2012. Previously he held the positions of Principal Deputy Assistant Secretary for Elementary and Secondary Education and Acting Assistant Secretary for Elementary and Secondary Education. Mr. Yudin has a strong background in disability policy. He served three members of Congress Ã¢â‚¬“ Senators Shaheen (D-NH), Bingaman (D-NM), and Jeffords (I-VT), working on disability and education policy. Previously he was the Director of Employment Policy for the ARC and United Cerebral Palsy. He also served in Office of the General Counsel at the Social Security Administration and worked in the Office of Administrative Law Judges at the U.S. Department of Labor. LDA is pleased to join in supporting Mr. Yudin’s nomination as OSERS Assistant Secretary. 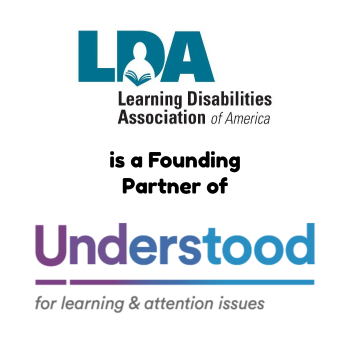 For several years, LDA and the National Center for Learning Disabilities have been working with a coalition of organizations representing individuals who are blind, visually impaired, and with print disabilities to increase access to published works in alternate formats. Recently, negotiators working under the auspices of the World Intellectual Property Organization (WIPO) concluded a treaty that meets almost all of the concerns of the learning disabilities community. The treaty — known as the Marrakesh Treaty to Facilitate Access to Published Works for Persons who are Blind, Visually Impaired, or otherwise Print Disabled — requires the signers to adopt national laws that allow reproduction, distribution and making available published works in accessible formats using limitations and exceptions to the rights of copyright holders. It also provides for exchange of these accessible format materials across international borders by organizations that serve individuals who are blind, visually impaired, and print disabled. The ability to share these materials in accessible formats should increase the overall number of works available because it will eliminate duplication and increase efficiency. Instead of five countries producing accessible versions of the same work, the five countries will each be able to produce an accessible version of a different work, which can then be shared with each of the other countries. Currently individual countries determine what limitations and exceptions to copyright law are allowed, and those exemptions apply only within the specific country. The treaty was signed by national delegations at the end of June and must now be ratified by 20 WIPO members who agree to be bound by the treaty provisions.